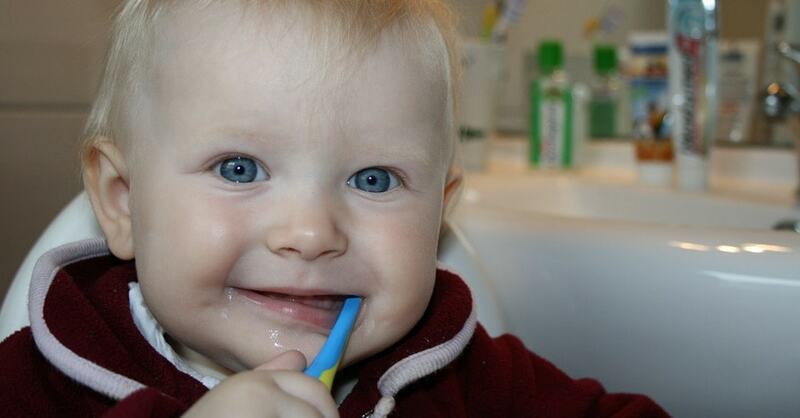 Oral Health Is Important For Babies, Too! By the age of 2, you should start using a small amount of fluoride toothpaste. Remember, too, that small children cannot do the job of cleaning their teeth on their own. Flouride not only protects teeth from decay, it can even heal early decay. It has been added to the drinking water in most United States cities and towns. If you are not sure if your hometown has fluoride in the public water supply, ask your dentist. If it does not, your dentist can suggest a fluoride treatment or other fluoride sources including fluoride varnish or drops. Teeth that are healthy are uniform in color. If you notice a tooth that is stained, or has a spot, you should contact your dentist in Voorhees. As soon as a baby’s teeth break through, they need to be cleaned. You can use a soft, clean cloth to do the job, or a toothbrush designed for small children. Do this at least once daily, and right before you put them down for the night is the best time. Avoid giving your children foods with sugar. For snacks, give them fruits and vegetables, and only give them cookies and treats for very special occasions. It is important to get children off to a good start with their oral health as early as possible. For more helpful hints on oral health for children, ask your dentist.